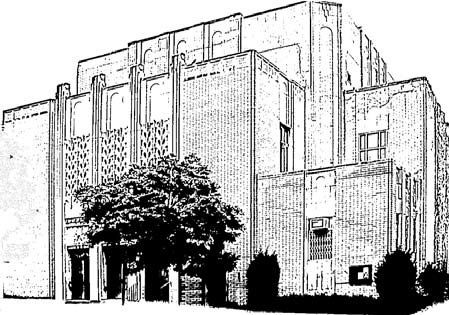 We are a Reform congregation, founded in 1906, in our present beautiful location in residential Washington Heights, since 1973. After the Holocaust, German Jews found a new home at the Hebrew Tabernacle and today it is not unusual to find four generations of a family worshipping together for the High Holydays in our beautiful sanctuary. We offer various service styles reflecting the diverse makeup of our congregation. A professional choir and organ accompany High Holyday and commemoration services in the Classical Central European tradition. 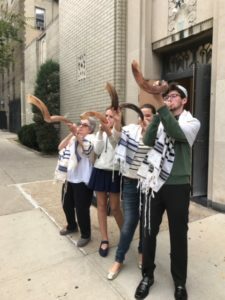 During the school year, a Family Service is held one Friday a month, and Junior Congregration (for readers up to B’nei Mitzvah age) is held one Saturday a month. In addition to services, we also have many other activities for families with children, including our growing Tot Shabbat community. 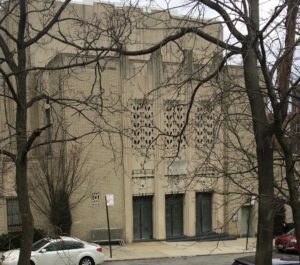 Through the years, the Hebrew Tabernacle has become a much honored and respected member of the Upper Washington Heights community. With a dedicated, committed congregation, continued strong leadership, and a long, proud record of achievements, it stands poised to continue for many years with confidence and determination. And we would love you to join us! Please contact our office for membership information. The mission of our congregation is to be a center of reform Jewish life in northern Manhattan. As a diverse community, we welcome people who seek an inclusive, mutually supportive, spiritual home. We bring our traditions to life through varied worship services, educational programs and social action projects. We are a modern congregation carrying our Jewish heritage into the future.